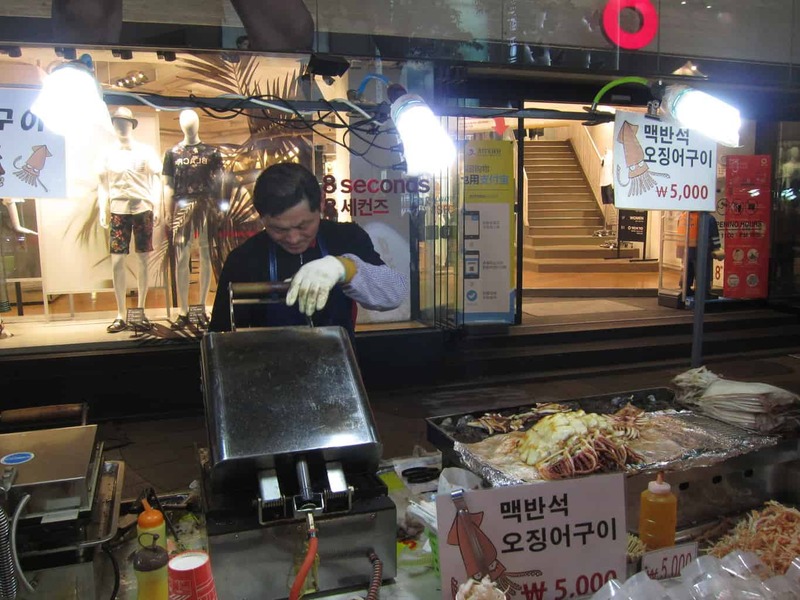 Eating at restaurants can make you pay an arm and a leg in Seoul. Not all of us can afford to dine at restaurants everyday while traveling. 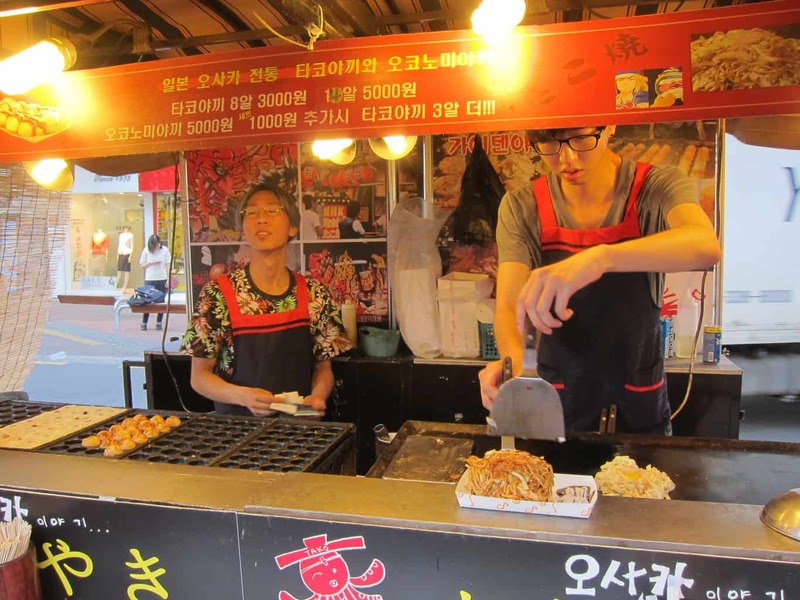 If you’d like to save a few bucks, try out the street food in Seoul! 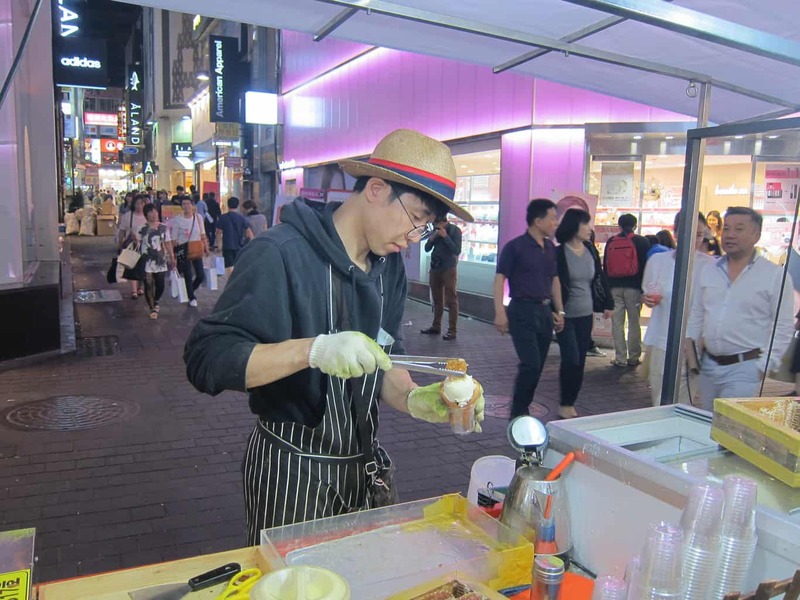 Sampling those tasty, inexpensive snacks gives you a chance to observe the latest culinary trend in the city. 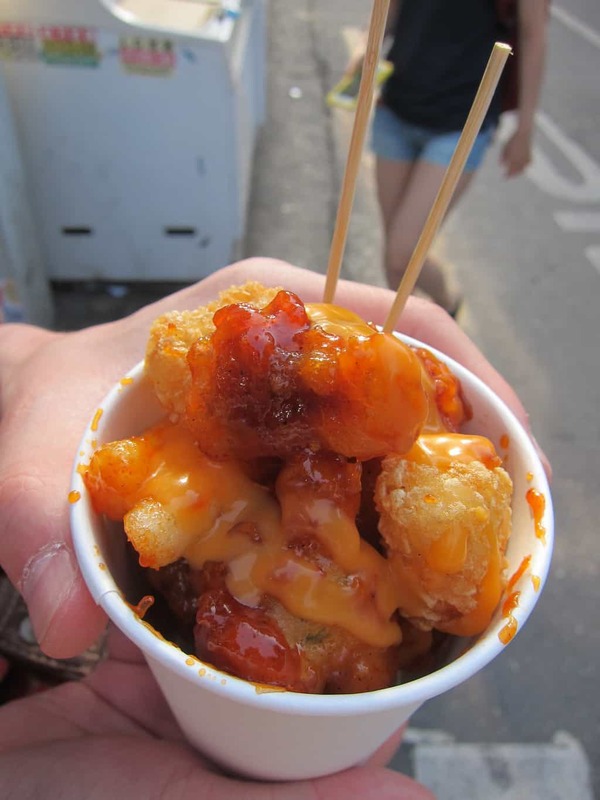 Below are a few popular street food Kev and I tried this summer. Strongly recommend you to try them out! 2. 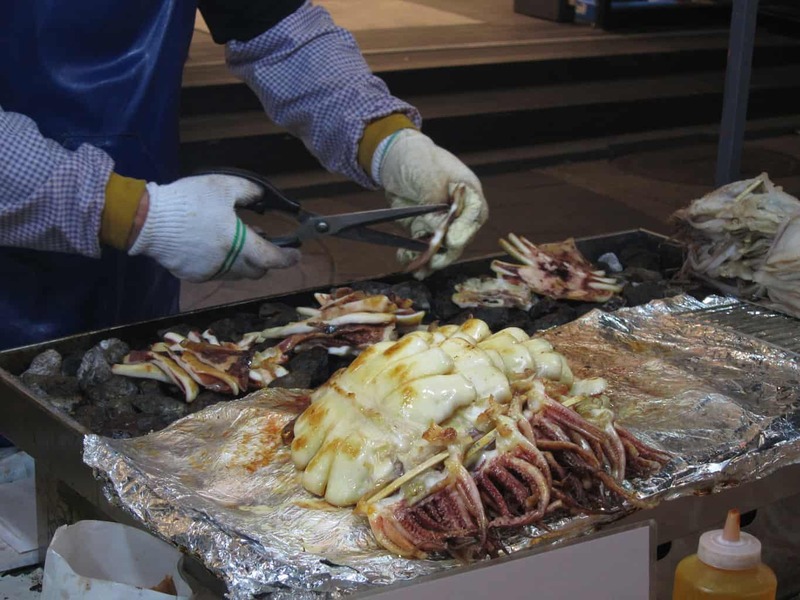 Mekbanseok grilled squid (5,000 won): Grilled squid is a popular Asian snack. I LOOOOVE grilled squid in Taiwan, but I’ve never had squid that is grilled on top of ‘mekbanseok’. 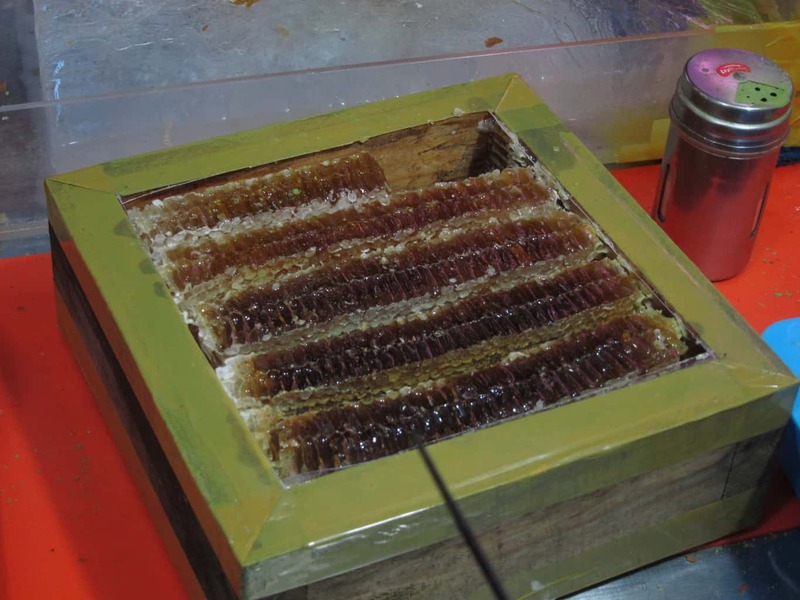 ‘Mekbanseok’ is a special mineral rock containting micro-nutrient elements. It is often used in Chinese medicine to treat various skin diseases. In cooking, people would dip the rock into rice and tea to increase the effects on health. Setting aside the controversy of its health benefits, the unique, smoky flavor it imparts to food is captivating! 4. 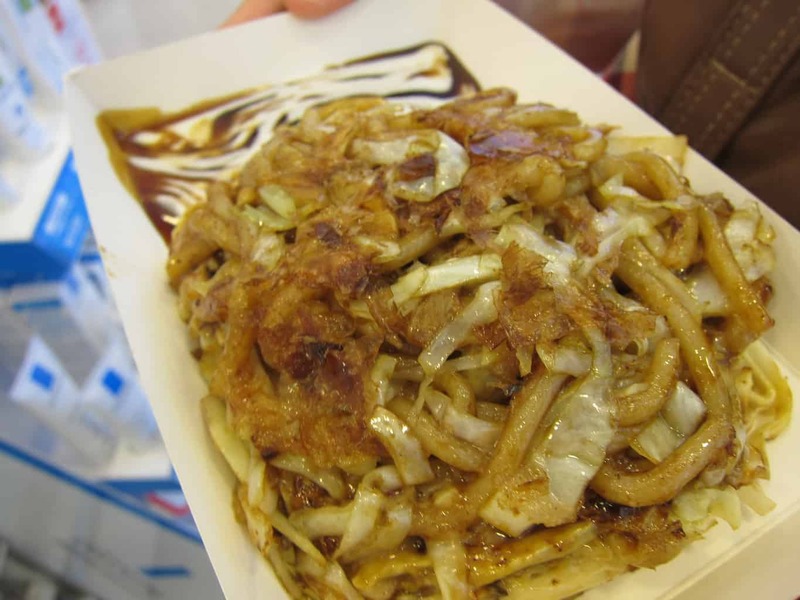 Okonomiyaki (5,000 won): Japanese street food has its charm and magic even in Korea. 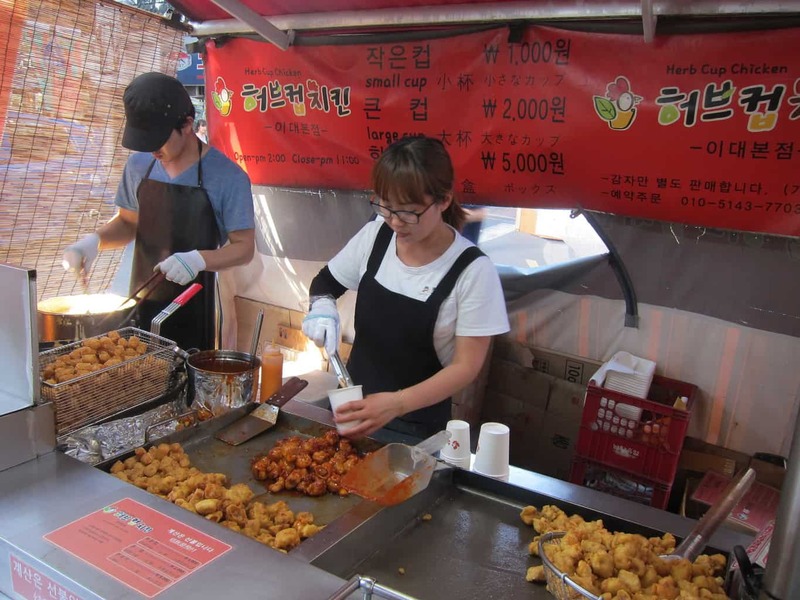 Finding stalls selling the popular Japanese savory pancake (‘okonomiyaki’) or octopus balls (‘takoyaki’) on the streets of Seoul is not a difficult task. 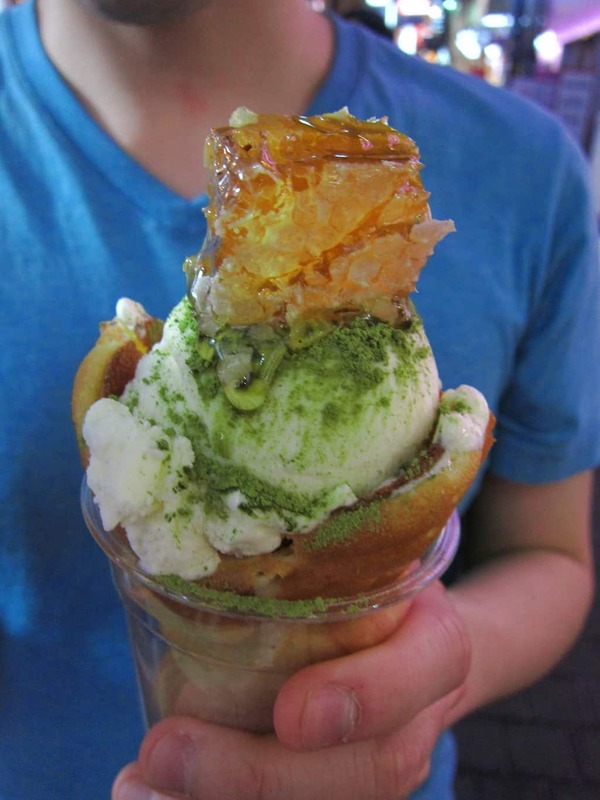 It might not be as authentic as you can get in Japan, but it certainly fixes your cravings! 5. 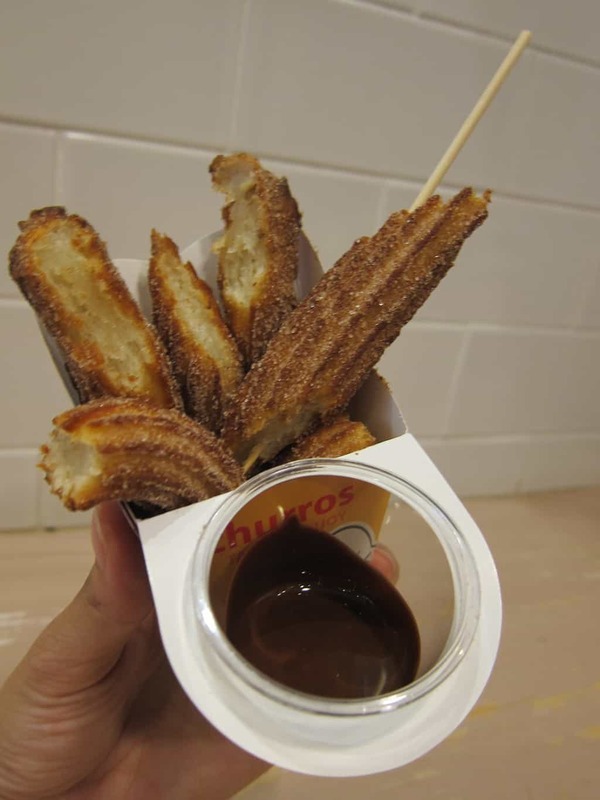 Churro (2,000~3,000 won): Undeniably, churro has become the latest dessert craze in Seoul. Churro stores are literally EVERYWHERE, conquering every corner in the city. Who could say ‘no’ to the perfectly crispy fried-dough pastry coated in cinnamon and sugar? YUMMMMM! Most churro stores offer a variety of combos. Common ones include churro + cheese sauce, churro + choco sauce, and churro + ice cream. Take your pick! Wow! I hope I can try all these someday 🙂 thanks for sharing. Awesome Post. Liked it. Its So YUMMMM…! Thanks, Shanaya! So cheap and tasty!